Marialite: Mineral information, data and localities. Named in 1866 by Gerhard vom Rath in honor of his wife, Maria Rosa vom Rath (1830-1888). An unusual, Pb-rich and Be-bearing marialite was described by Christy & Gatedal (2005). Visit gemdat.org for gemological information about Marialite. Teertstra & Sherriff (1996) give a = 12.06(1) and c = 7.551(5) Å for end-member marialite. Calcite 14 photos of Marialite associated with Calcite on mindat.org. Orthoclase 11 photos of Marialite associated with Orthoclase on mindat.org. Diopside 8 photos of Marialite associated with Diopside on mindat.org. Fluorapatite 8 photos of Marialite associated with Fluorapatite on mindat.org. Afghanite 7 photos of Marialite associated with Afghanite on mindat.org. Meionite 7 photos of Marialite associated with Meionite on mindat.org. Pyrite 6 photos of Marialite associated with Pyrite on mindat.org. Phlogopite 6 photos of Marialite associated with Phlogopite on mindat.org. Titanite 4 photos of Marialite associated with Titanite on mindat.org. Quartz 3 photos of Marialite associated with Quartz on mindat.org. vom Rath, G. (1866) Mineralogisch-geognostische Fragmente aus Italien. Zeitschrift der deutschen geologischen Gesellschaft: 18: 634-637. Papike, J.J., Zoltai, T. (1965) The crystal structure of a marialite scapolite. American Mineralogist: 50: 641-655. Lin, S.B., Burley, B.J. (1973) Crystal structure of a sodium and chlorine-rich scapolite. Acta Crystallographica: B29: 1272-1278. Ulbrich, H.H. (1973) Crystallographic data and refractive indices of scapolites. American Mineralogist: 58: 81-92. Bayliss, P. (1987) Mineral nomenclature: scapolite. Mineralogical Magazine: 51: 176-176. Belokoneva, E.L., Sokolova, N.V., Urusov, V.S. (1993) Scapolite: crystal structures of marialite (Ma11) and meiorite (Me88) with space groups as functions of composition. Kristallografiya: 38(1): 52-57 (in Russian). Kabalov, Yu.K., Sokolova, E.V., Urusov, V.S. (1995) Rietveld refinement of scapolite crystal structures: marialite (4.7% Me). Kristallografiya: 40(5): 829-832 (in Russian). Sokolova, E.V., Kabalov, Y.K., Sherriff, B.L., Teertstra, D.K., Jenkins, D.M., Kunath-Fandrei, G., Goetz, S., Jäger, C. (1996) Marialite: Rietveld structure-refinement and 29Si MAS and 27Al satellite transition NMR spectroscopy. The Canadian Mineralogist: 34: 1039-1050. Teertstra, D.K., Sherriff, B.L. (1996) Scapolite cell-parameter trends along the solid-solution series. American Mineralogist: 81: 169-180. Sokolova, E.V., Gobechiya, E.R., Zolotarev, A.A., Kabalov, Yu.K. (2000) Refinement of the crystal structures of two marialites from the Kukurt deposit of the East Pamirs. Kristallografiya: 45: 1014-1018 (in Russian). Seto, Y., Shimobayashi, N., Miyake, A., Kitamura, M. (2004) Composition and I4/m - P42/n phase transition in scapolite solid solutions. 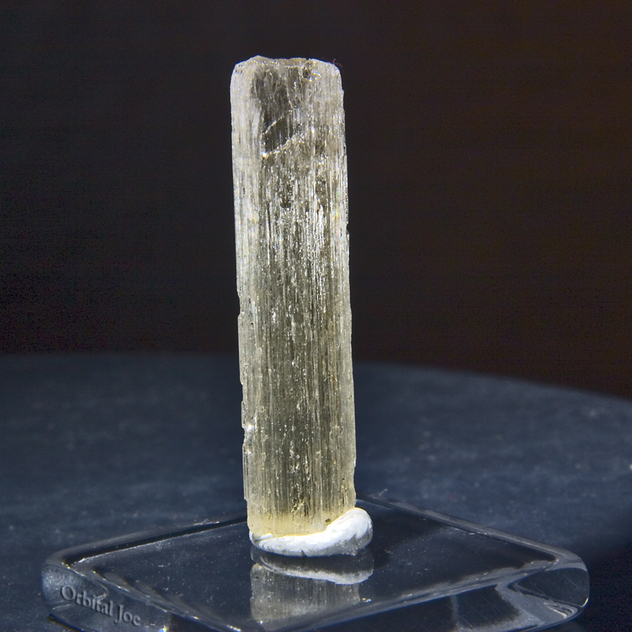 American Mineralogist: 89: 257-265. 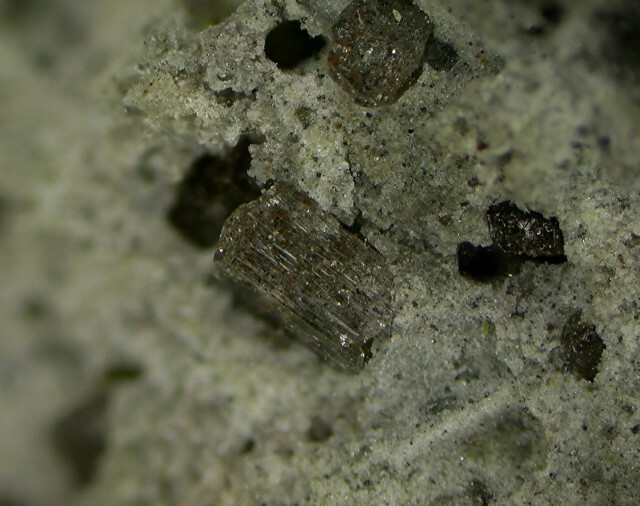 Christy, A.G., Gatedal, K. (2005) Extremely Pb-rich rock-forming silicates including a beryllian scapolite and associated minerals in a skarn from Långban, Värmland, Sweden. Mineralogical Magazine: 69: 995-1018. Sokolova, E., Hawthorne, F.C. (2008) The crystal chemistry of the scapolite-group minerals. I. Crystal structure and long-range order. The Canadian Mineralogist: 46: 1527-1554. Anato, S.M., Hassan, I. (2011) The structures of marialite (Me6) and meionite (Me93) in space groups P42/n and I4/m, and the absence of phase transitions in the scapolite series. Powder Diffraction: 26: 119-125. Antao, S.M., Hassan, I. (2011) Complete Al-Si order in scapolite Me37.5, ideally Ca3Na5[Al8Si16O48]Cl(CO3), and implications for antiphase domain boundaries (APBs). Canadian Mineralogist: 49: 581-586. The following Marialite specimens are currently listed for sale on minfind.com. specimen from Roberto Kurcbart, 11-2000. Wang, S., and Williams, P.J. (2001): Mineralium Deposita 36, 109-124. Owen, J.V., Greenough, J.D. (1999) Scapolite Pegmatite from the Minas Fault, Nova Scotia. Mineralogical Magazine: 63(3): 387-397.
element51.com. Fouts, C. (1998) Bancroft & District Mineral Collecting Guidebook. Bancroft & District Chamber of Commerce, 50pp. Bowen 1922 Williams, Turner, Gilbert, 1954. Kolitsch, U., Rieck, B. and Voudouris, P. (2015): Mineralogy and genesis of the Lavrion ore deposit: new insights from the study of ore and accessory minerals. Poster, MinPet 2015, Leoben, Austria, September 10-13; abstract in Mitt. Österr. Mineral. Ges. 161, 66. Baidya, A. S., Sen, A., & Pal, D. C. (2018). Textures and compositions of cobalt pentlandite and cobaltian mackinawite from the Madan-Kudan copper deposit, Khetri Copper Belt, Rajasthan, India. Journal of Earth System Science, 127(4), 56. Saeed Alirezaei, Morteza Einali, Peter Jones, Shohreh Hassanpour, Reza Arjmandzadeh (2015): Mineralogy, geochemistry, and evolution of the Mivehrood skarn and the associated pluton, northwest Iran. International Journal of Earth Sciences (in press). Fedele L., Tarzia M., Belkin H.E., De Vivo B., Lima A., Lowenstern J.B. (2006): Magmatic–hydrothermal fluid interaction and mineralization in alkali-syenite nodules from the Breccia Museo pyroclastic deposit, Naples, Italy. In: De Vivo B. (ed. ), Volcanism in the Campania Plain: Vesuvius, Campi Flegrei and Ignimbrites. Developments in Volcanology, vol. 9, Elsevier B.V., Amsterdam, pages 125-161. Carati, M. (1988): I minerali degli inclusi metamorfosati nel Tufo Grigio Campano. Notiziario del Gruppo Mineralogico Geologico Napoletano, 18, 5-12. Van King; Del Caldo A., Moro C., Gramaccioli C.M., Boscardin M. (1973): Guida ai minerali. Fratelli Fabbri Editori, Milano, 208 pp. ; Gramaccioli, C.M. (1975): Minerali alpini e prealpini. Istituto Italiano Edizioni Atlas, Bergamo, 2 vol., 472 pp. Bertolini A. (1975): Minerali della Valle di Stabio (BS). Riv. Mineral. Ital., 9, 4 (4-1985), 153-159. E. Manasse, 1910 - Oxalite di Capo d'Arco (Isola d'Elba) - Atti R. Acc. Lincei, Rend., v.19, s.5, f.3: 138-146. National Science Museum, Tokyo, displayed specimen #211. Kullerud, K. and Erambert, M. (1999) Cl-scapolite, Cl-amphibole, and plagioclase equilibria in ductile shear zones at Nusfjord, Lofoten, Norway: Implications for fluid compositional evolution during fluid-mineral interaction in the deep crust. Geochimica et Cosmochimica Acta, 63, 3829-3844. De Haller, A., Corfu, F., Fontboté, L., Schaltegger, U., Barra, F., Chiaradia, M., ... & Alvarado, J. Z. (2006). Geology, geochronology, and Hf and Pb isotope data of the Raúl-Condestable iron oxide-copper-gold deposit, central coast of Peru. Economic Geology, 101(2), 281-310.; Williams, P. J., Barton, M. D., Johnson, D. A., Fontboté, L., De Haller, A., Mark, G., ... & Marschik, R. (2005). Iron oxide copper-gold deposits: Geology, space-time distribution, and possible modes of origin. Economic Geology, 371-405. Nysten, P., Holtstam, D. and Jonsson, E. (1999) The Långban minerals. In Långban - The mines,their minerals, geology and explorers (D. Holtstam and J. Langhof, eds. ), Swedish Museum of Natural History and Raster Förlag, Stockholm & Chr. Weise Verlag, Munich, pp. 89-183. ; Christy, A.G. & Gatedal, K. (2005): Extremely Pb-rich rock-forming silicates including a beryllian scapolite and associated minerals in a skarn from Långban, Värmland, Sweden. Mineralogical Magazine, 69, 995-1018. Drever, H.I. (1936) Geol. Mag. 73, 452, 457.; Livingstone, A. and Macpherson, H.G. (1983) Fifth supplementary list of British minerals (Scottish). Mineralogical Magazine, vol. 47, n° 342, p. 99-105. Tindle, A.G. (2008) Minerals of Britain and Ireland, Terra Publishing. Pemberton, H. Earl (1983), Minerals of California; Van Nostrand Reinholt Press. McAllister, James Franklin (1955), Geology of mineral deposits in the Ubehebe Peak quadrangle, Inyo County, California. California Division Mines, Special Report 42, 63 pp. : 60; Pemberton, H. Earl (1983), Minerals of California; Van Nostrand Reinholt Press: 366. Sharp, W.E. (1959) Minerals from Los Angeles County, California. Printed privately, Los Angeles, California: 63; Pemberton, H. Earl (1983), Minerals of California; Van Nostrand Reinholt Press: 367. Cooney, R.L. (1956), The mineralogy of the Jensen and Henshaw quarries near Riverside, California: Unpublished Master’s thesis, University of California at Los Angeles: 21; Pemberton, H. Earl (1983), Minerals of California; Van Nostrand Reinholt Press: 367; Devito, F. and Ordway, A. (1984), The Jensen Quarry, Riverside County, California. Mineralogical Record: 15(5): 273-290. Shannon, Earl V. (1921b), Some Minerals from the Old Tungsten Mine at Long Hill in Trumbull, Connecticut. Proceedings U.S. National Museum: 58(2348): 469-482.; Harold Moritz collection. Vanko, David A. & Finley C. Bishop (1982), Occurrence and Origin of Marialitic Scapolite in the Humboldt lopolith, N.W. 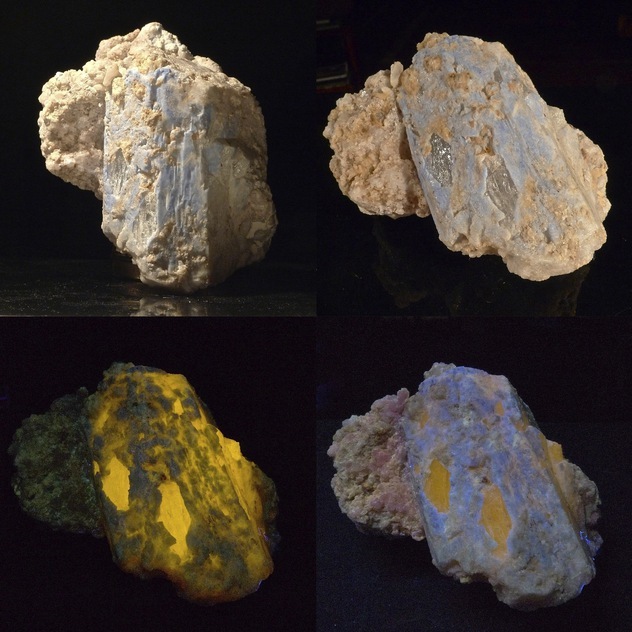 Nevada, Contributions to Mineralogy and Petrology: 81: 277-289. Chamberlain, Steve C., Walter, M., and Richards, R. P., 2011, Phlogopite Triplets from the Selleck Road Occurrence, West Pierrepont, St. Lawrence County, NY, 38th Rochester Mineralogical Symposium Progran and Abstracts, p. 14-15. Reed, Juliet C. (1976), Annotated Biblio. of Mins. New to the PA List 1965-1974, The Min. Soc. of PA, Inc.: 54; Sims, Samuel J. (1968), "The Grace Mine Magnetite Dep., Berks Co., PA" in Ridge, John D. ed., Ore Deps. of the US 1933-1967, Vol I:115. Reed, Juliet C., Annotated Bibliography of Minerals New to the Pennsylvania List - 1965-1974,Min. Soc. of PA, Inc. (1976): 53; Gordon, Samuel G. (1922), Mineralogy of PA:89. Reed, Juliet C. (1976), Annotated Biblio. of Minerals New to the PA List 1965-1974, The Min. Soc. of PA, Inc.: 53; Gordon, Samuel G. (1922), Mineralogy of PA:89. Reed, Juliet C. (1976), Annotated Biblio. of Minerals New to the PA List 1965-1974, The Min. Soc. of PA, Inc.: 53; Tomlinson, W. Harold (1943), "Occurrence of Sodic Scapolite at Falls of French Creek, Chester Co., PA," Am.Min.:28:110-114. Reed, Juliet C. (1976), Annotated Biblio. of Minerals New to the PA List 1965-1974, The Min. Soc. of PA, Inc.: 19 & 25-26, 39, 44-45, 54; Montgomery, Arthur (Jul & Aug, 1973) PA Mins. (PM), PM(127) & (128).